We are a group of former civil servants of the All India and Central Services, who have worked for decades with the Central and State Governments during our careers. We wish to make it clear that, as a group, we have no affiliation with any political party but believe in impartiality, neutrality and commitment to the Indian Constitution. We continue to uphold the oath of allegiance to our Constitution we took when we entered service. Addressing a public meeting at Kannur, Kerala, on Saturday, the 27th October 2018, the President of the main ruling party at the centre made two interrelated comments: That the Supreme Court ought to have issued implementable orders; and, that the State Government in Kerala would be brought down for its temerity to enforce the Supreme Court orders regarding the entry of women from a certain age group into the Sabrimala temple by arresting and suppressing ‘Ayyappa devotees.’ Taken together, these two comments make for a scary reading that the President of the main ruling party at the centre is casting aspersions upon and questioning the lawful authority of the highest court of the land, asking the State government to refrain from implementing the Court’s orders, and is explicitly threatening to bring it down by vigilante action of political workers in the streets by fuelling their religious sentiments. There is also an implicit threat of the dismissal of the State Government by the Union Government. Under the Election Symbols (Reservation and Allotment) Order, 1968, framed by the Election Commission India (ECI) under the plenary powers vested in it by Article 324 of the Constitution, the Commission has codified the provisions relating to the functioning of political parties. This Order provides for the registration of political parties and its general bases by the ECI. It also provides for their recognition on the basis of their poll performance in the general elections. 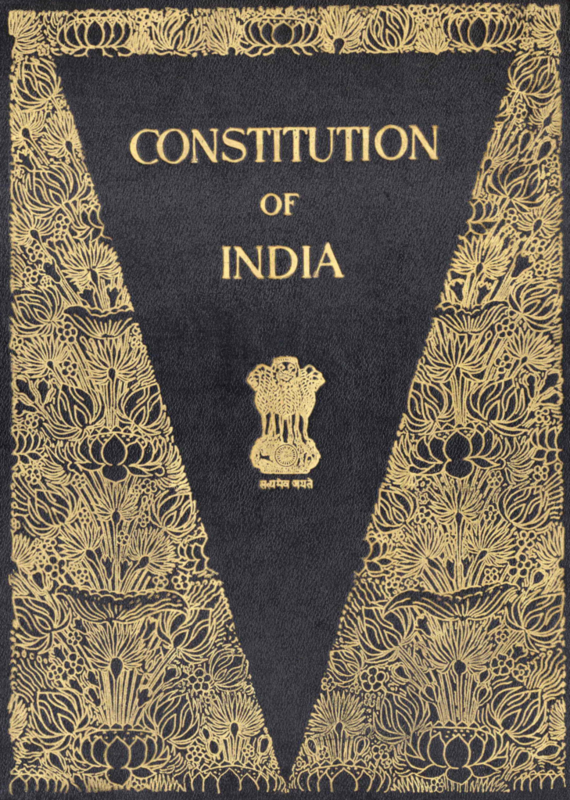 In 1989, the Parliament inserted a new section 29A in the Representation of the People Act, 1951, which provides that the registration of political parties by the Election Commission India (ECI) would involve an additional condition: every political party must include in its constitution/by-laws an undertaking that it ‘shall bear true faith allegiance to the Constitution of India as by law established, and to the principles of socialism, secularism and democracy, and would uphold the sovereignty, unity and integrity of India’. The main ruling party at the centre too has made the necessary insertion of this additional condition in its Constitution. Further, the ECI has the power to suspend or withdraw the recognition of a recognised political party for its failure to observe the Model Code of Conduct or to follow lawful directions and instructions of the Commission. It is well within the rights of any individual to critically opine upon a judicial decision without casting aspersions on the juridical intent. Indeed, judicial decisions do vary between one juridical level and another, and also from one bench to the other in the High and Supreme Courts. There is a due process in place to seek redressal from a decision that has caused one to feel aggrieved; this even applies, in some cases, to the decisions taken by a particular bench of the Supreme Court. There have also been instances of legislative interventions in the Parliament by the executive to countermand an inconvenient judicial decision within the parameters set out in the Constitution. It is not open to any individual, group, or a political party to subvert the due constitutional process by threatening street action or adverse political action by the Union executive. The cited public speech of the President of the ruling party at the centre amounts to a gross Constitutional misconduct. It is likely to have far-reaching adverse implications for our national polity if it passes unnoticed. The Hon’ble Prime Minister has been a great votary of strengthening federalism during his long innings as the Chief Minister of one of India’s frontline states. As a Prime Minister, he has enthusiastically spoken of the cooperative federalism among the Union and the States. Therefore, the cited content of the public speech of the powerful President of the ruling party is as worrying as it is inexplicable even in the present times when political discourse touches a new low every day. The Head of the Government, the Hon’ble PM, to counsel his party President as appropriate and to categorically delink the executive’s support of his cited public speech. The Hon’ble Supreme Court to take suo motu cognisance of its contempt in such a blatant manner at a public forum, and to proceed forthwith with necessary legal action. The Head of the State, The Hon’ble President of India, to give his sage counsel to all concerned to maintain constitutional decorum and to enforce the corrective executive action to rectify its breach.